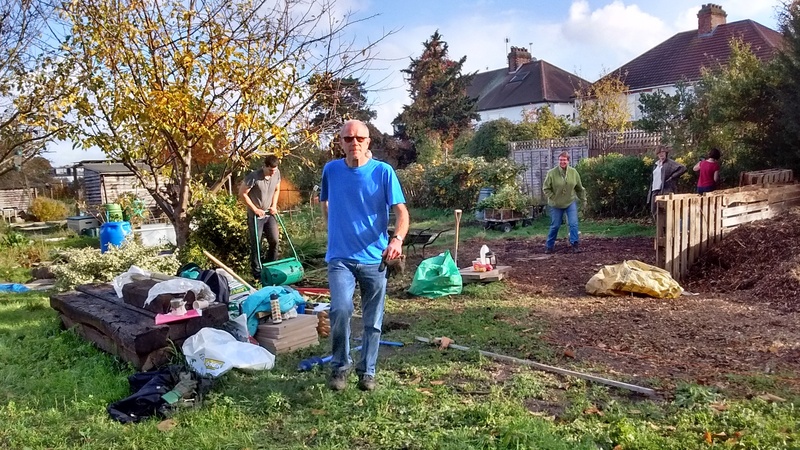 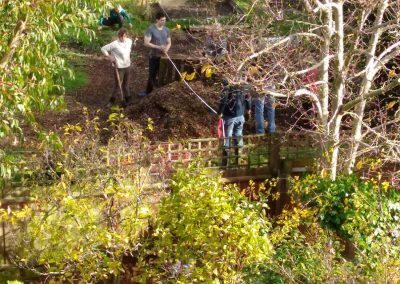 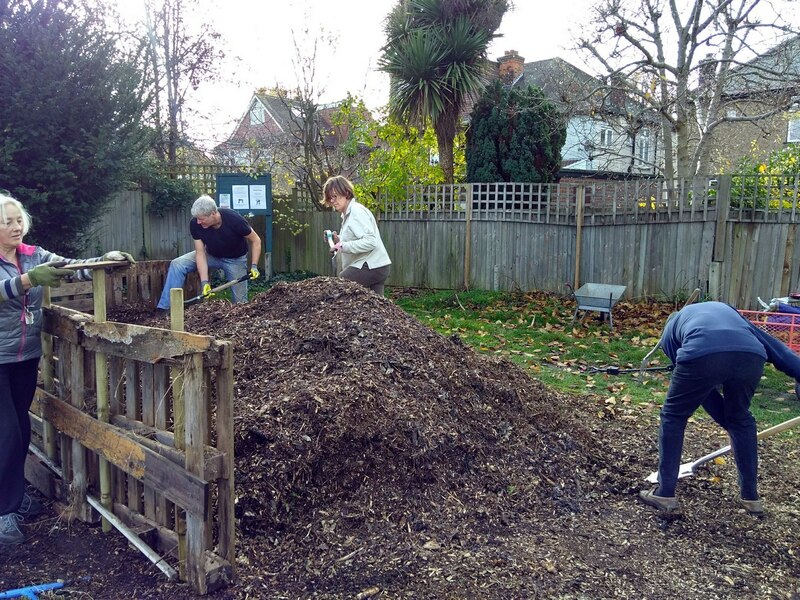 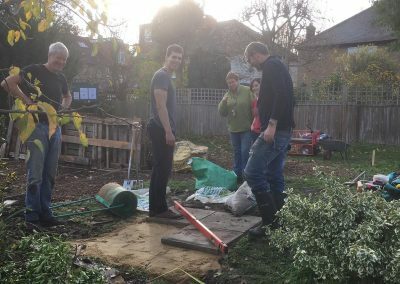 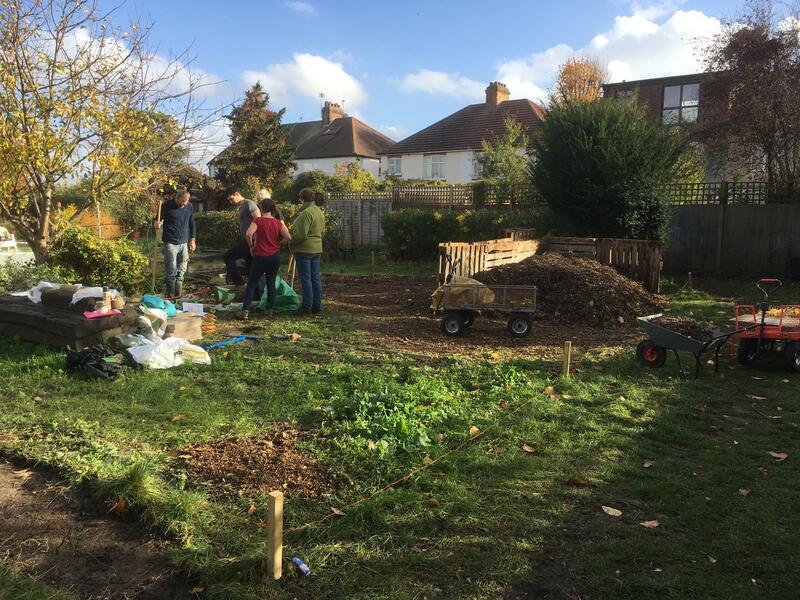 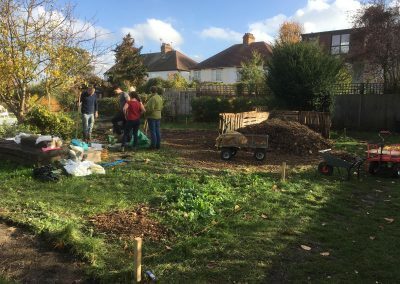 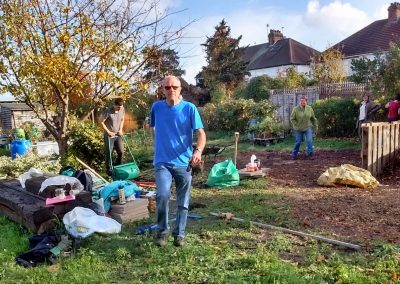 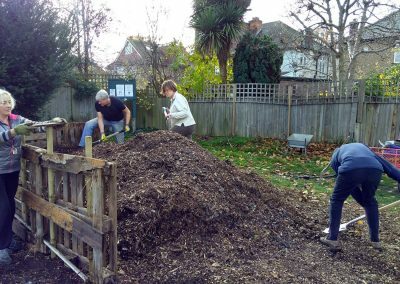 This time the sun shone on the band of volunteers who continued the work of improving our Community plots that was so successful back in October. 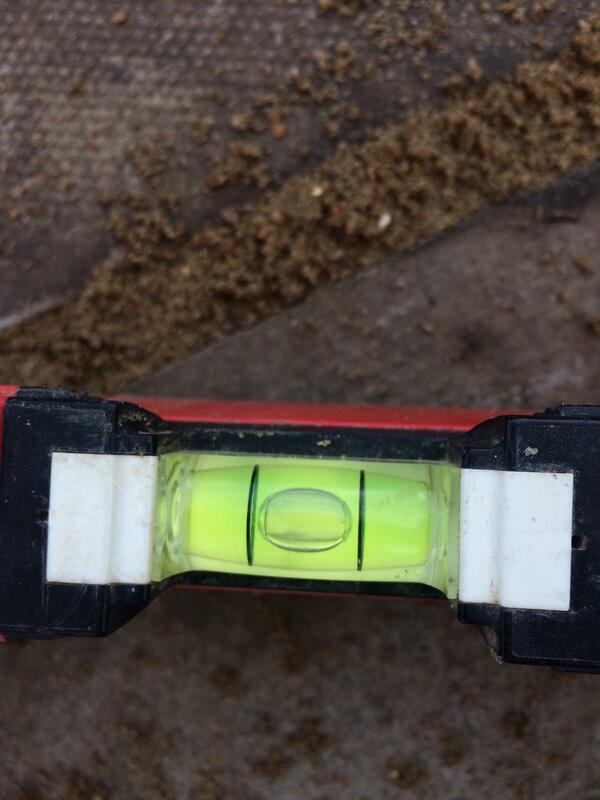 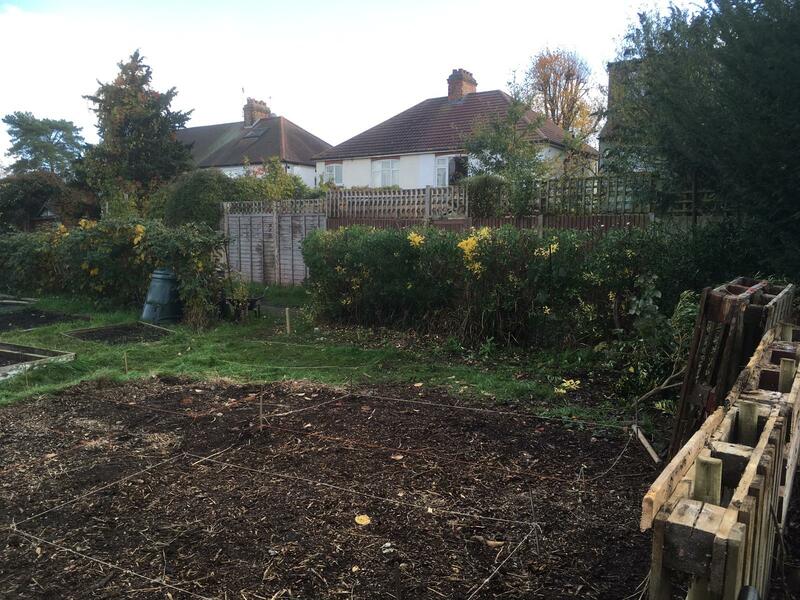 Good progress was made on both plots. 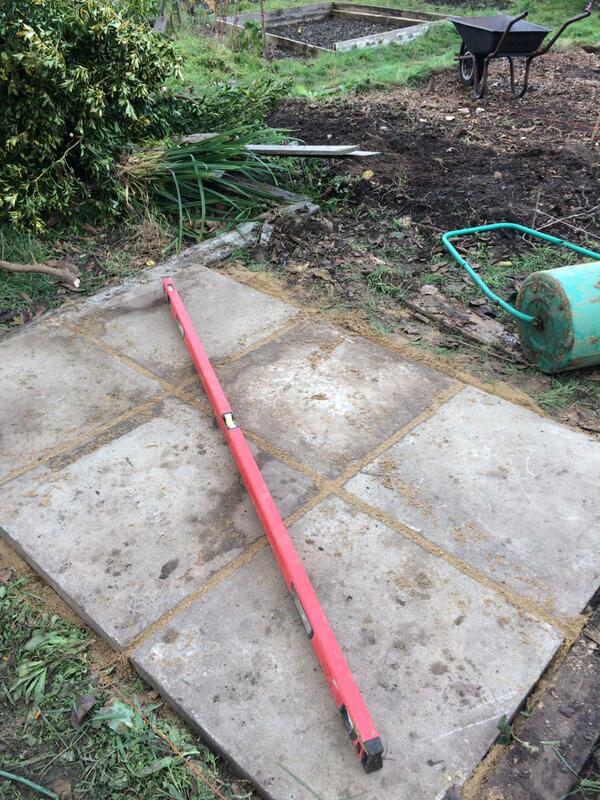 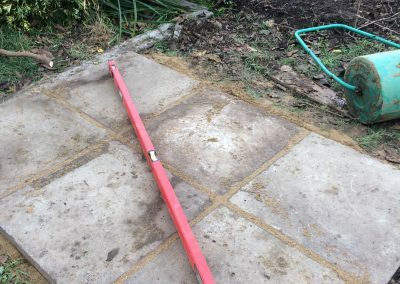 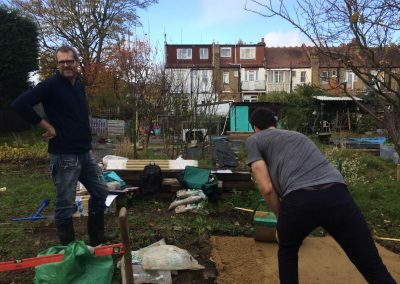 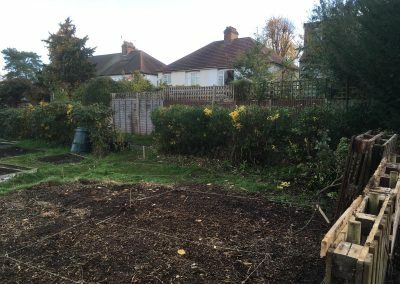 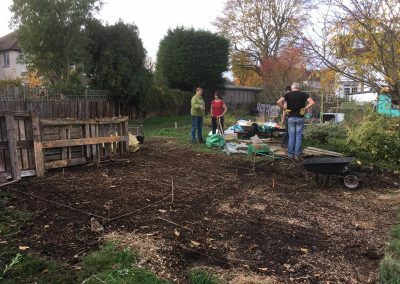 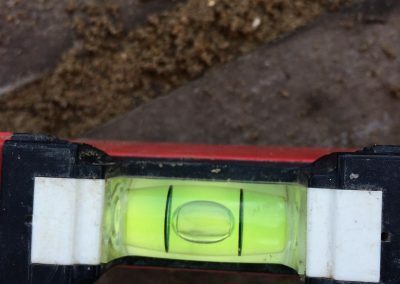 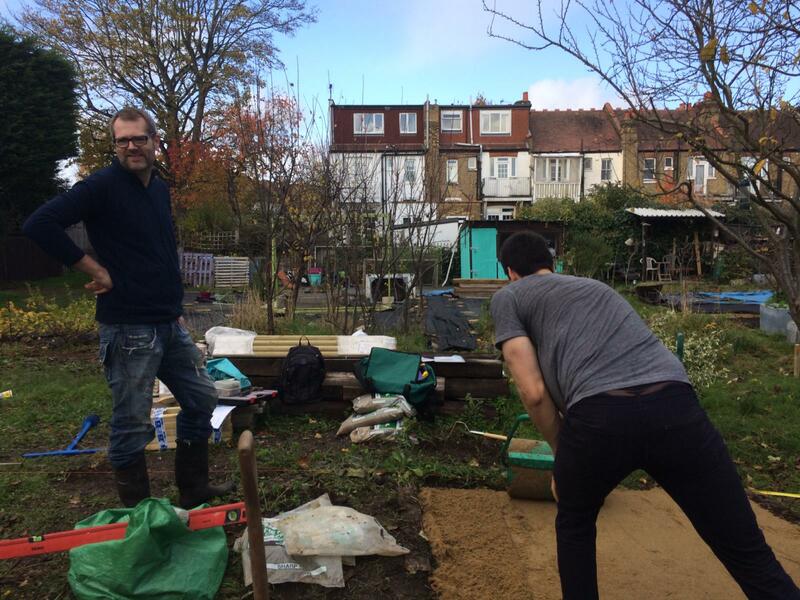 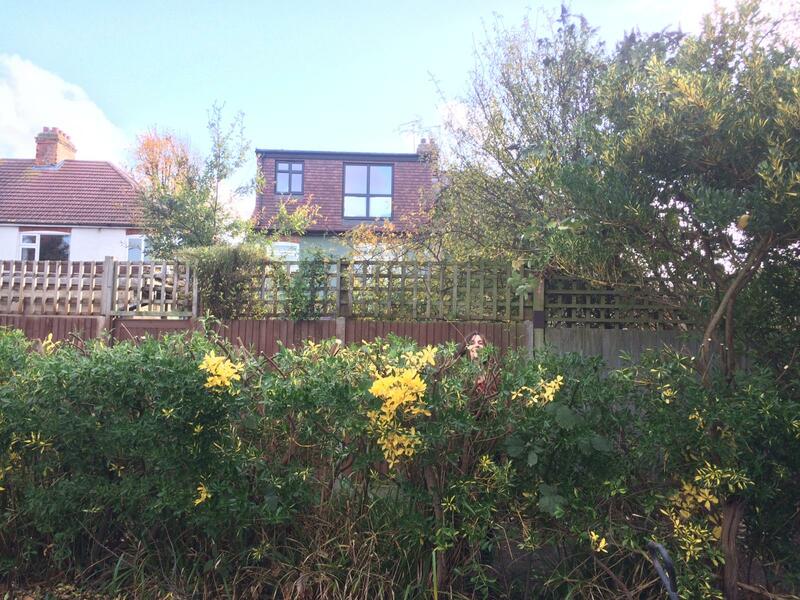 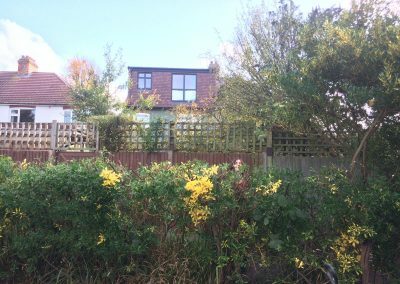 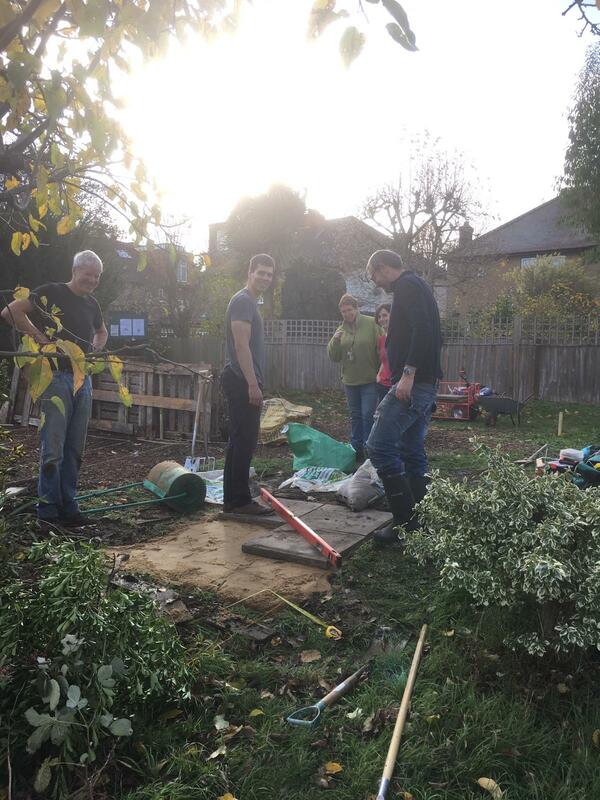 On plot 1B, the woodchip pile was moved, paths and mini-plots were measured up and marked out, a level base for the shed was formed and overhanging shrubbery was pruned. 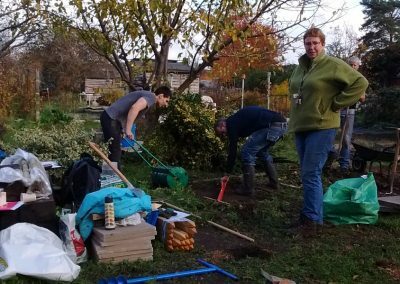 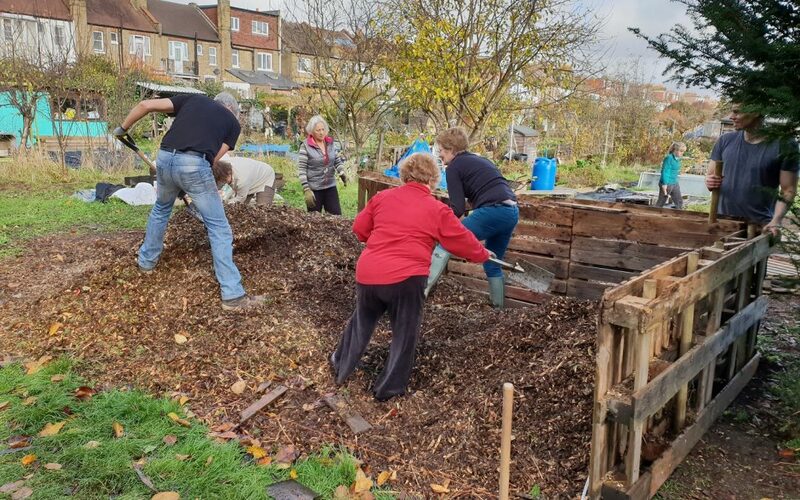 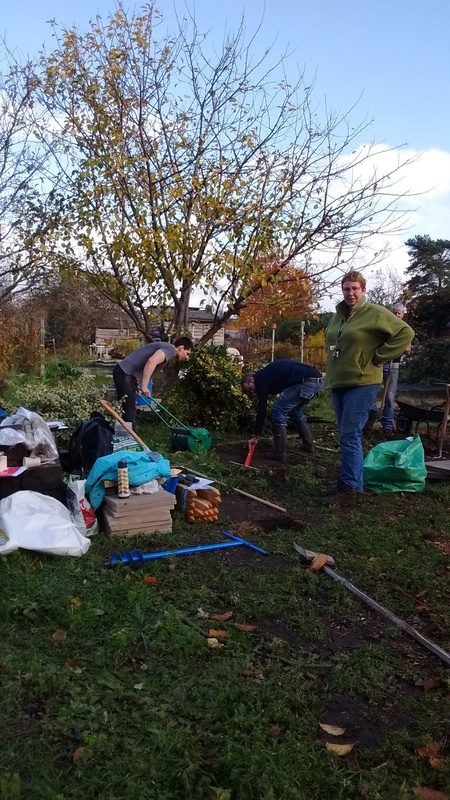 On 48A, other volunteers did sterling work in moving the wood pile out of the way, digging out the greenhouse site and filling the raised beds.